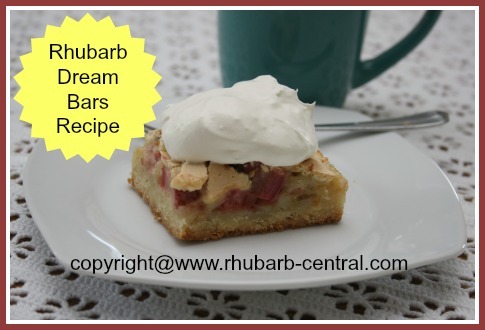 If you have been looking for a Rhubarb Dream Bars Recipe, you've just found a most scrumptious one here! 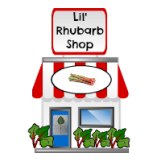 I posted on Rhubarb-Central's Facebook Page the question: " What is the FIRST recipe you make with your freshly harvested RHUBARB?" 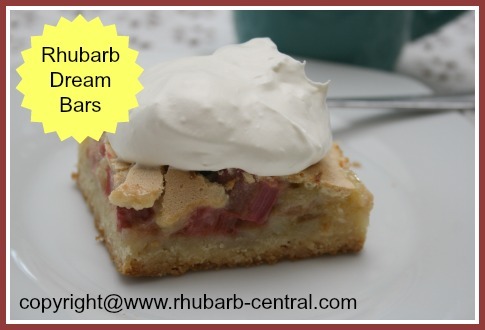 The results were very interesting, and I discovered that many people referred to "Rhubarb Dream Bars". Although these can be served as a bar to be eaten by hand, I found them a little too soft for that, so I preferred to serve them with a fork, to be enjoyed as a snack or dessert -- especially yummy with a dollop of whipped cream or whipped dessert topping on top! In a bowl, combine the 2 cups flour, powdered sugar and butter and mix with a fork. Press into the bottom of a greased 9" x 13" baking dish. Bake at 350° F for 10 - 15 minutes until golden brown. While crust (base) is baking, prepare the top layer. 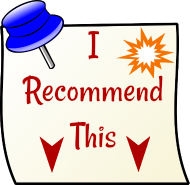 In a bowl, using a hand mixer, beat the eggs, then add the sugar and mix until the sugar is mostly dissolved. 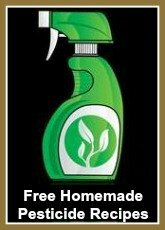 Add the 1/2 cup flour and the salt and beat until well blended. Fold in the chopped rhubarb. Spoon mixture over the hot base layer. Bake at 350° F for about 50 minutes or until golden brown. 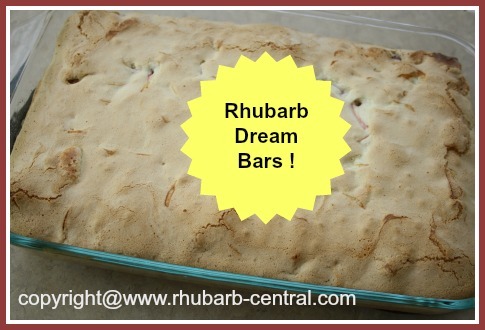 Making Homemade Rhubarb Dream Bars! 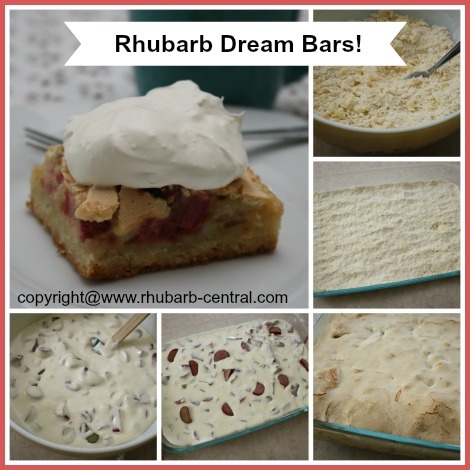 Rhubarb Dream Bars are perfect -- not too sweet, not too sour ... just right!